No, today is all about her condition, an especially critical topic when it comes to a vintage yacht. Thankfully, it’s somewhere between “terrific” and “stellar”. As a matter of fact, she’s in the yard right now for a paint touchup, some exhaust work, the installation of a Wesmar bow thruster, and a full varnishing. And that’s on top of a $400,000 refit in 2016. Long story short, as soon as her current owner bought Adventurer, he went about addressing every single item that came up during survey – and some that didn’t. 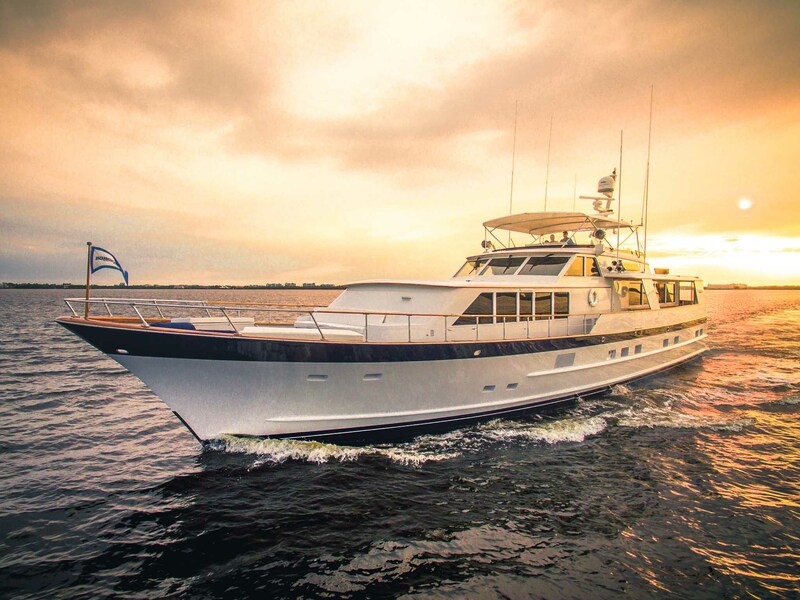 And that’s how one ends up with a stunning Burger yacht that’s more-than-ready for extensive New England cruising this summer – which is precisely her owner’s game plan if Adventurer isn’t sold by then. But, given her extraordinary condition and intriguing $1.2 million asking price, we wouldn’t start booking dockage in Nantucket and Newport just yet if we were him.